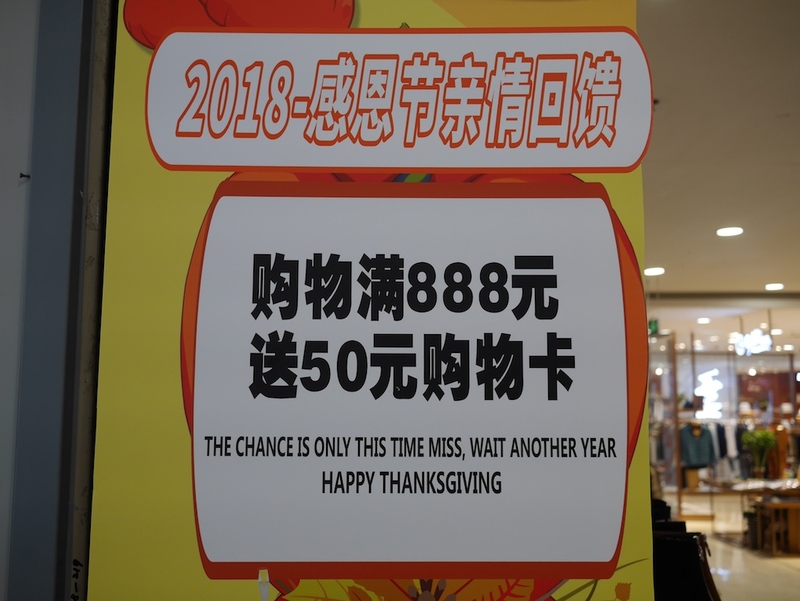 Most Americans would likely be surprised to learn that Thanksgiving is celebrated, even if just to a minor degree, in China. This isn't using the word "Thanksgiving" to refer to a traditional Chinese holiday with similar themes. This is the Thanksgiving celebrated on the fourth Thursday of November as in the U.S., though with some differences. Based on my own observations and conversations with people, my sense is that in general people are far less aware of the holiday than Western holidays such as Christmas and perhaps to a lesser degree Halloween. And those who are aware of it tend to be younger in age. In short, I would describe it as not being a big deal, but it's there to a degree. Yes, "a degree" leaves a lot of wiggle room, and I need it here. Like with many other holidays in China, some retailers are happy to jump at the opportunity to use the holiday for a promotion. 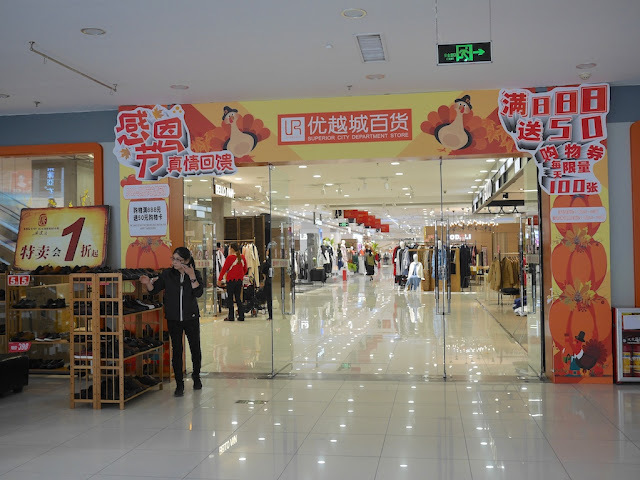 For example, in Xiaolan, a town roughly 20-25 km (more than 12 miles) from Zhongshan's central area, the entrance to a Superior City Department Store had a distinctly Thanksgiving theme. 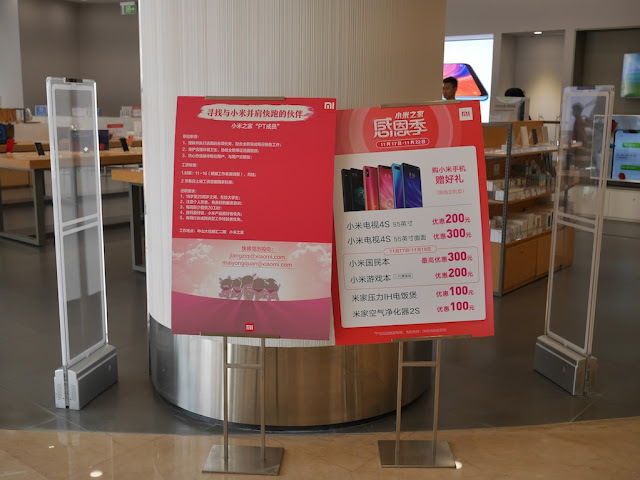 The signs explicitly mentions the Thanksgiving holiday along with a special opportunity to earn a 50 yuan (currently about US $7.20) shopping card if you spend at least 888 yuan. The number 8 is considered very lucky in Chinese culture, and its use is unlikely accidental even in the Thanksgiving setting. I can't answer why the gift card isn't 88 yuan as well. 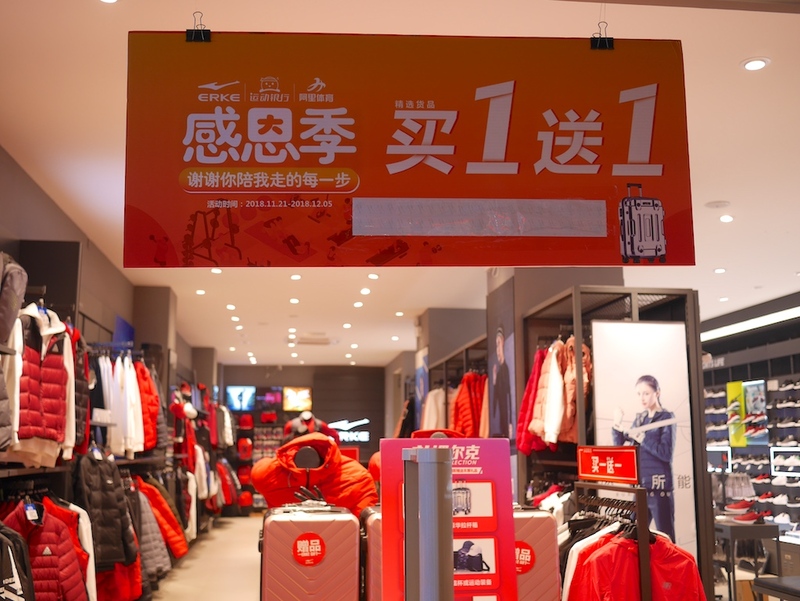 And admittedly, it wasn't entirely effortless for me to sort out the English message on the sign, which notably doesn't appear in Chinese. I believe the intended meaning is something like: "Now is your only chance. Miss it and you'll have to wait another year." In central Zhongshan, I saw a few other Thanksgiving sales. 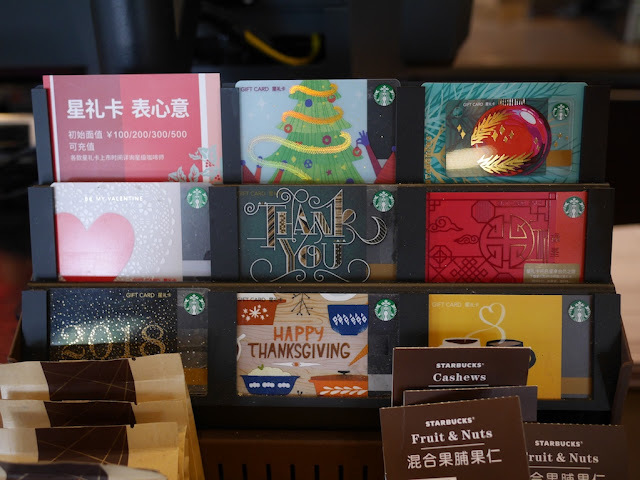 Also, you could buy a Thanksgiving themed gift card at Starbucks. Or you could participate in a Thanksgiving event at Meten — an English language school chain — which took place a couple of days after the holiday. 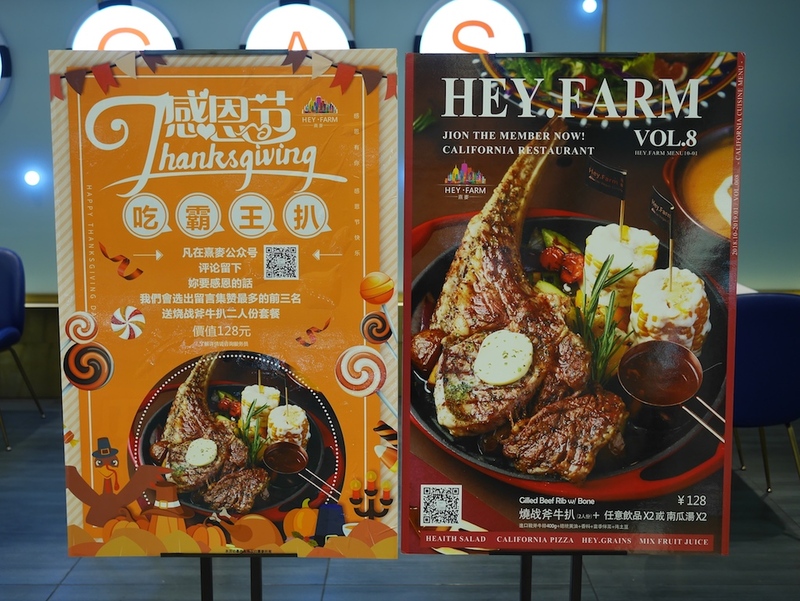 And I came across one American-style restaurant — Hey Farm —offering a special Thanksgiving meal. 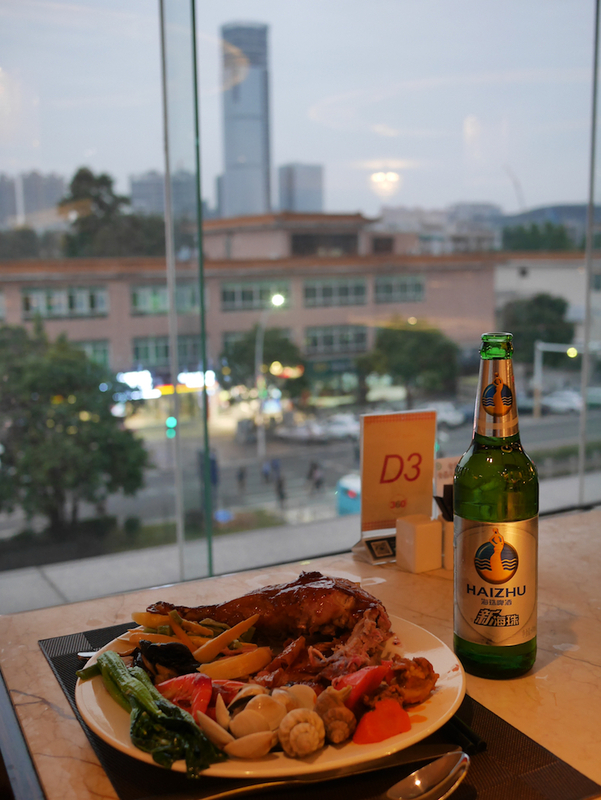 Now I will switch to a brief account of my personal Thanksgiving experience — in particular my dinner in Zhongshan. The Hey Farm option didn't appeal due to the lack of turkey. I suspected a few other Western-style restaurants might have special meals for the day, but I figured they would already be fully booked. 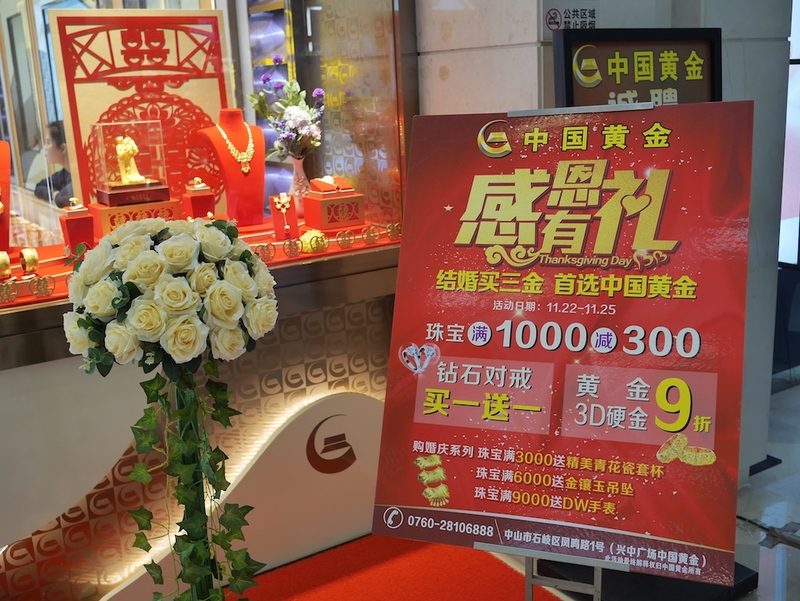 So I focused on a option that has worked well in the past, including last year in Wuhan, and planned on a buffet at a Western hotel. This year, things didn't go quite as smoothly. 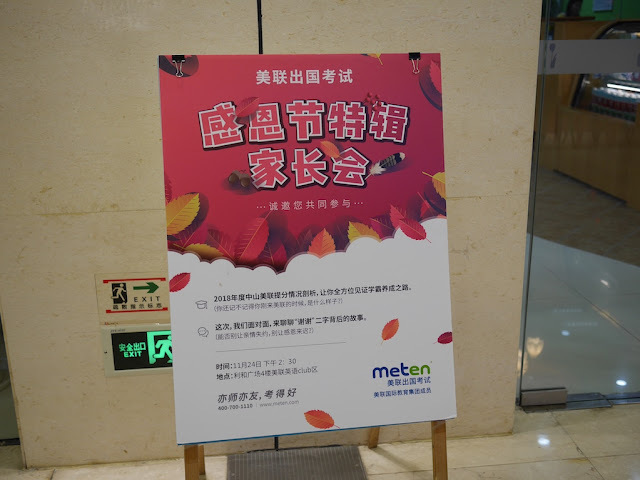 I initially expected to eat turkey at the Sheraton Zhongshan Hotel. However, to my surprise that afternoon I discovered they wouldn't have a turkey or anything else special for the holiday. After that, I went for plan B and just showed up hoping for the best. 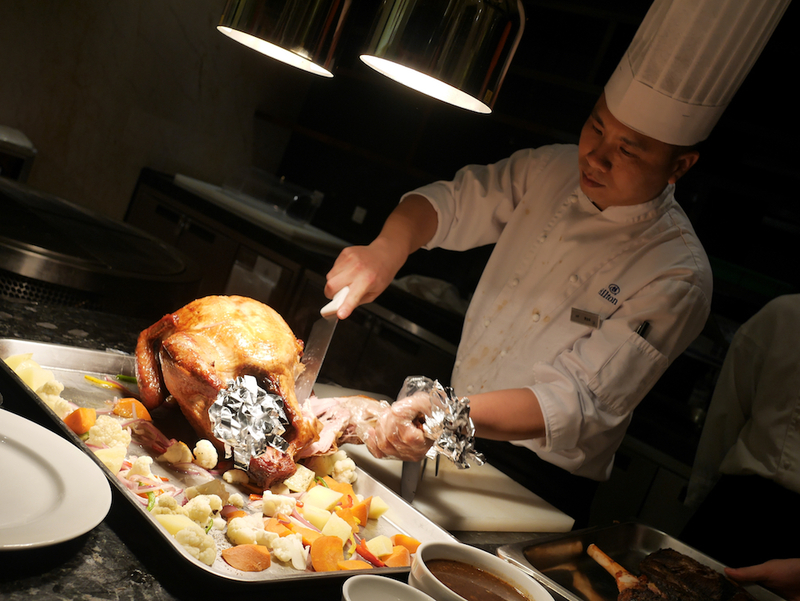 I am pleased to say the Hilton Zhongshan Downtown indeed prepared a turkey for their buffet. There didn't appear to be anything else special to Thanksgiving in their offerings but no matter. I scored a whole turkey leg, and the cranberry sauce gravy was excellent. Additionally, for the first time ever I drank a Haizhu beer — a brand from neighboring Zhuhai —with my Thanksgiving meal. 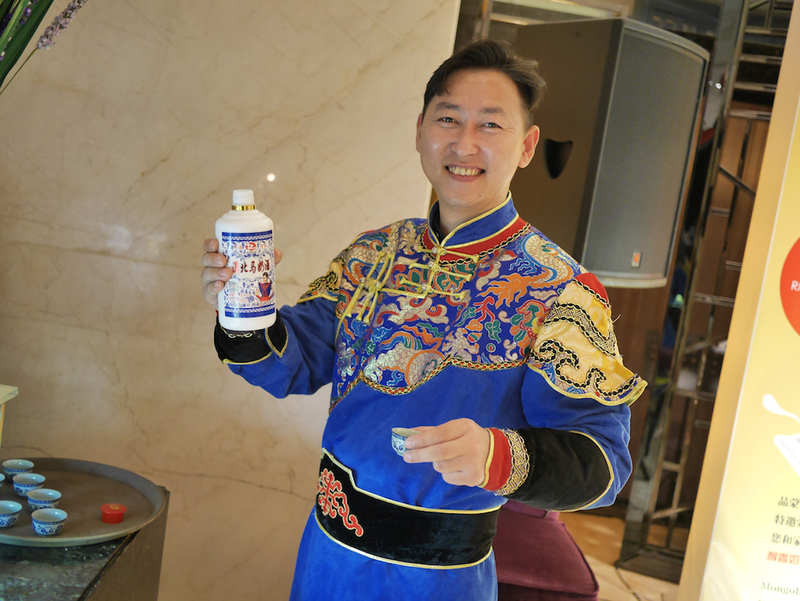 To top it all off, I also enjoyed a good dose of horse milk baijiu. I must say I enjoyed the flavor, not easy for a 52% alcohol drink to manage. So thanks to Zhongshan for giving me a taste of Thanksgiving as I'm used to having back in the U.S. The horse milk baijiu really made it though.